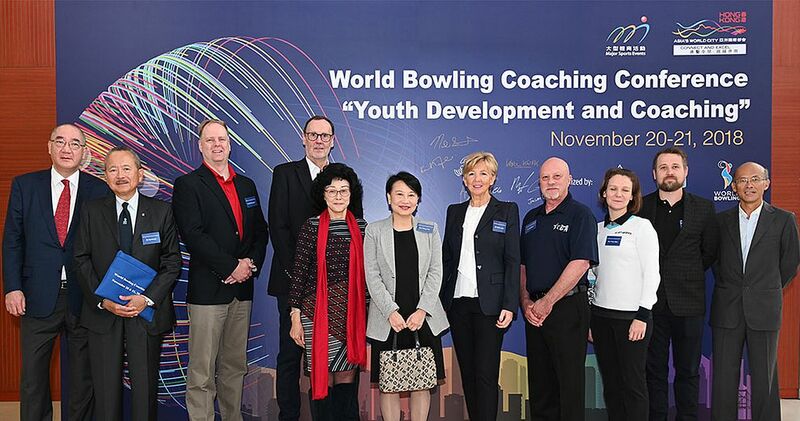 Jointly organized by the Hong Kong Tenpin Bowling Congress (HKTBC) and the Hong Kong Sports Institute (HKSI) under the auspices of World Bowling, the 2018 World Bowling Coaching Conference on “Youth Development and Coaching”, has successfully concluded at the HKSI complex on November 20 and 21, 2018. 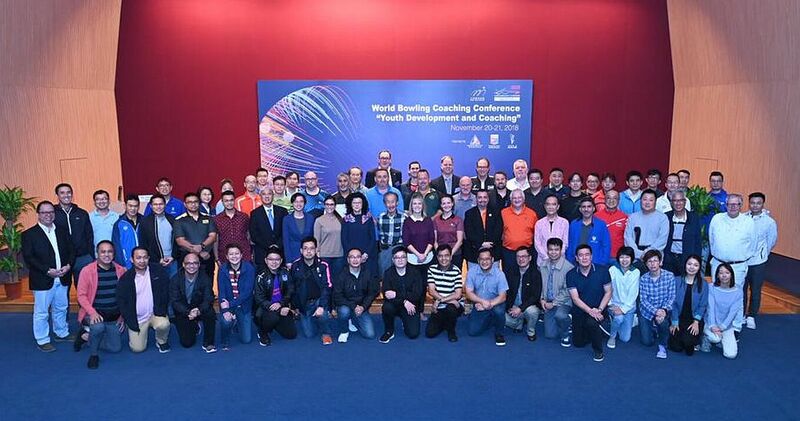 The Conference brought together over 20 overseas and local tenpin bowling sports practitioners and sports science professionals to share their views and experiences with more than 150 participants under one roof, on four major topics including youth coaching, psychological intervention, strength and conditioning as well as anti-doping methodology. Concurrent workshops covering areas from taping to nutritional advices for high performance delivery and a tour to the HKSI bowling center were also conducted on the second day of the conference. Group shots courtesy of Terrence Yaw (ABF-online.org). The Opening Ceremony was officiated by Mrs Cherry Tse Ling Kit-ching (center) JP, Permanent Secretary for Home Affairs; Mr Karl Kwok Chi-leung MH, Vice-President of the Sports Federation & Olympic Committee of Hong Kong, China (SF&OC); Ms Vivien Lau Chiang-chu BBS JP, Secretary General of World Bowling; and Dr Trisha Leahy BBS, Chief Executive of the HKSI. 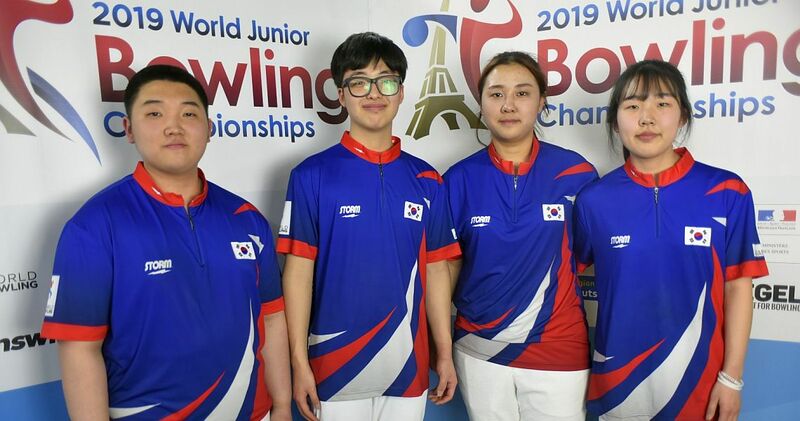 Speaking in the welcoming remarks on behalf of World Bowling, Ms Vivien Lau (fefth from left) said, “The conference emphasizes on development of youth and how to develop potential in youth through sport and divert them away from vices such as drugs. In the course of their playing sport, education on fair play and clean sport by staying away from using illegal means of enhancement on their sport performance is very important and vital”. 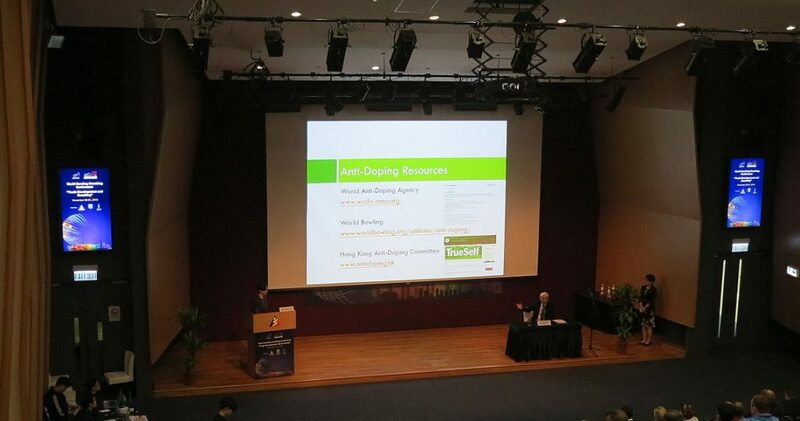 She also thanked for the support from the HKSI, the speakers and moderators who took part in the Conference. 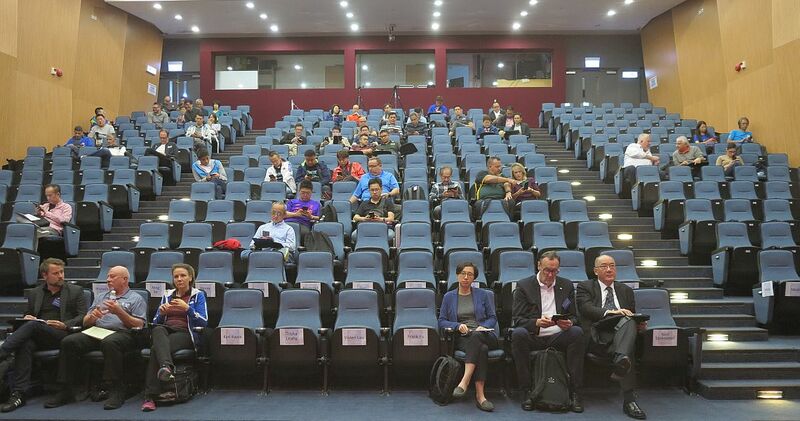 Dr Trisha Leahy (fifth from right) was very pleased that the HKSI joined hands with the HKTBC to organize this meaningful conference for creating dialogues from different sectors of the sport community, towards an ultimate goal of enhancing the overall elite training system for Hong Kong athletes. 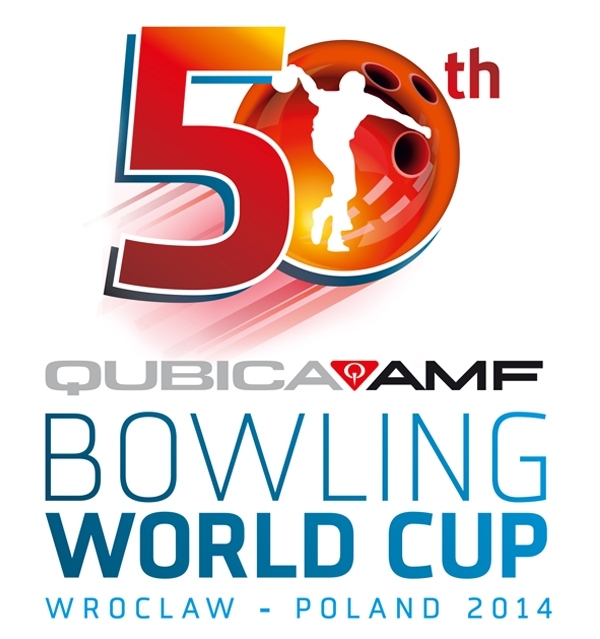 Notables among the coaches were Philippine Sports Hall of Famer, Paeng Nepomuceno, two-time PBA Player of the Year Mika Koivuniemi of Finland, Australian and PWBA standout Cara Honeychurch, world champions Biboy Rivera, Philippines, Piritta Maja, Finland, and Swede Robert Andersson, as well as USBC head coach Rod Ross and Neil Stremmel, Chair of WB Technical Committee, both USA, to mention only a few. 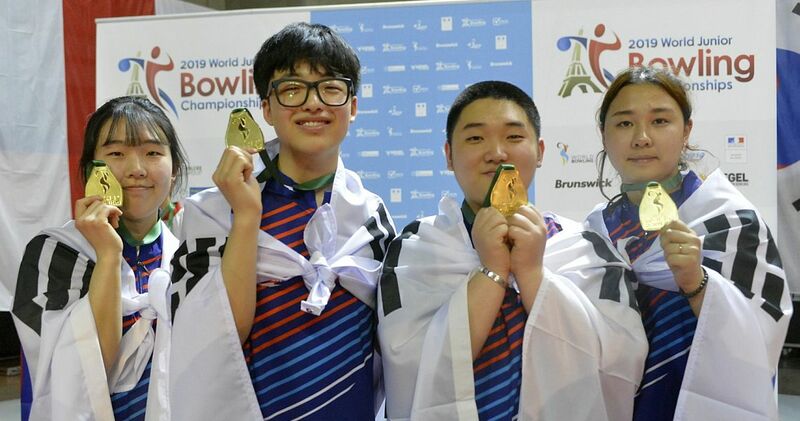 The Hong Kong Tenpin Bowling Congress will host the 2018 CGSE • Million Tinkle World Men Championships which starts Nov. 23 and runs thru Dec. 5 at the SCAA bowling center. 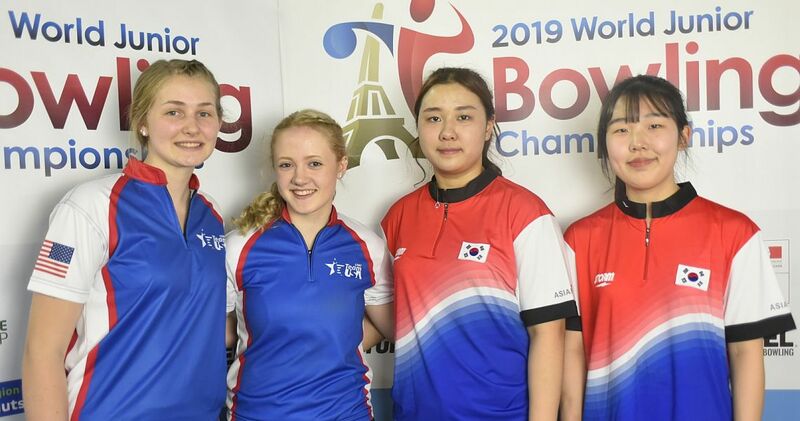 In her presentation, Piritta Maja covered topics which are very important to recognize for every coach who works with the teenagers: “talented” bowlers (or not), biological age, seeing the strengths of a player and building abilities, from concrete to more abstract bowling, psychological and physical skills. 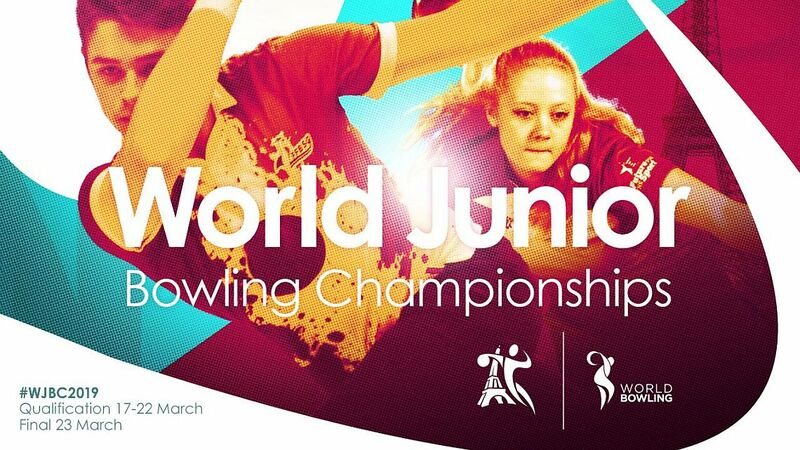 Every coach and bowler are products of their time and environment – and different generations need to learn to communicate with each other. One part of the presentation described generation z (born after 1995 or 2000, depending on the reference) and gave some practical examples how to coach them efficiently. tion 9Rod Ross started with an overview of Youth Coaching and Development, talking in particular of evolution of the game and the future, especially the two-handed evolution and its trends. Ross focused on four aspects: Player Development Pipeline (including Skills, Long-Term Athletic Development, Physical, Equipment and Mental), Programs (such as Junior Team USA, Junior Gold, etc.) Training Tools (YouTube, Targeting, Specto and Classroom) and Resources. Based on years of experience and applied finding, Dr. Si proposed to redefine “peak performance” as “effective coping with adversities”, rather than “perfect execution of everything”. 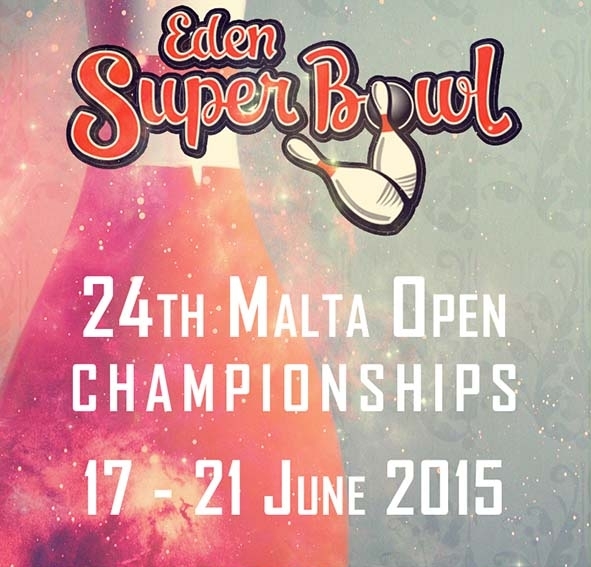 He shared some bowlers’ stories to illustrate his four-stage adversity coping training model. Dr. Si also invited the attendances to participate in a famous risk-taking experiment to illustrate the model’s emphasis on the pursuit of rationality and how it can be applied in sport settings. Athletes with strong mental toughness would be able to concentrate on the task across situation. Dr. Li shared some findings proposing mindfulness training can enhance ones’ attentional performance in both military and sports settings. 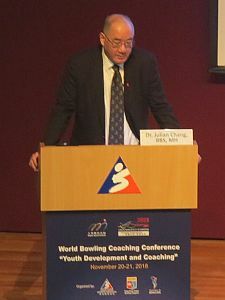 He then further shared his study of conducting the Mindfulness Acceptance Insight Commitment (MAIC) program with a group of Hong Kong bowlers. 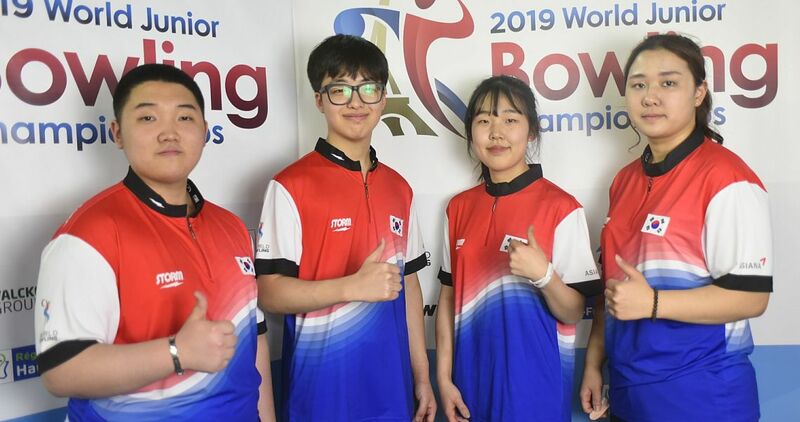 Data suggested that seven-session MAIC program helped the bowlers enhance their level of mindfulness, acceptance and performance in training. Coaches are encouraged to instill mindfulness elements into their youth and senior program. 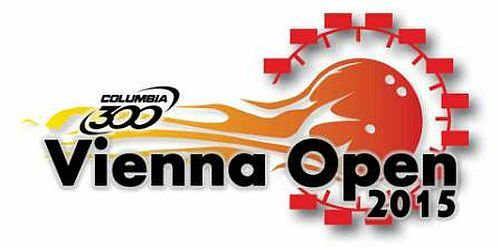 In the Coaching and Technology session, Neil Stremmel discussed the new technology advancements of Specto and Torch/X. He also discussed the development of lane patterns and the new Kegel Flex lane machine – focusing on their uses for coaches from a coaching point of view. Stremmel also hosted a hands on session of Biomechanics. 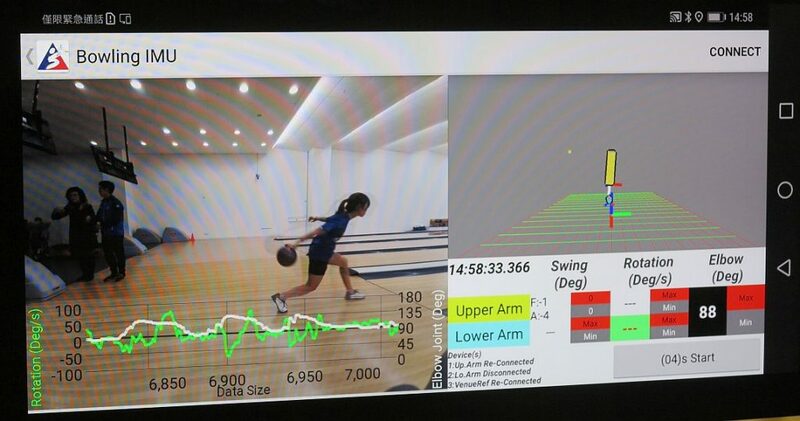 This session demonstrated Specto and Torch as well as the camera system installed at the HKSI bowling center. 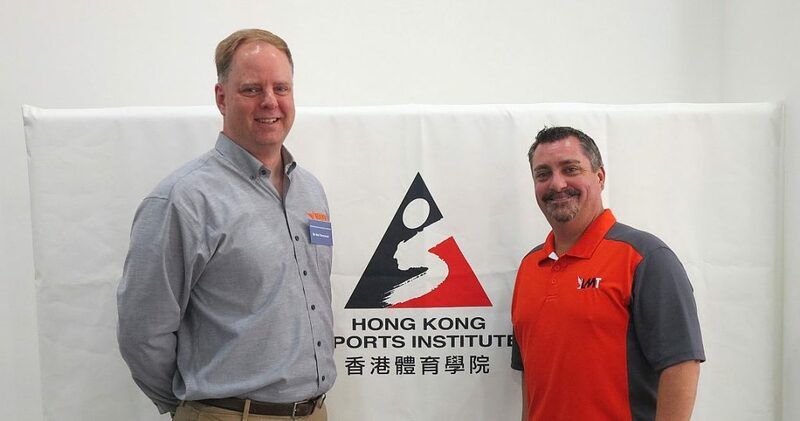 Guided by the Government’s current policy direction, and using its professional expertise in elite sport, the Hong Kong Sports Institute’s (HKSI) vision is to become the region’s elite training systems delivery leader by providing state-of-the-art, evidence-based, elite sports training and athlete support systems resulting in sustainable world-class sports results. 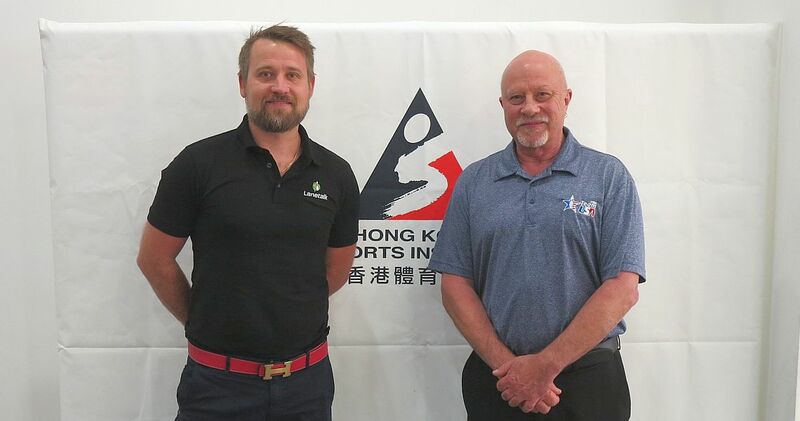 For more information on the Hong Kong Sports Institute (HKSI), please click here. 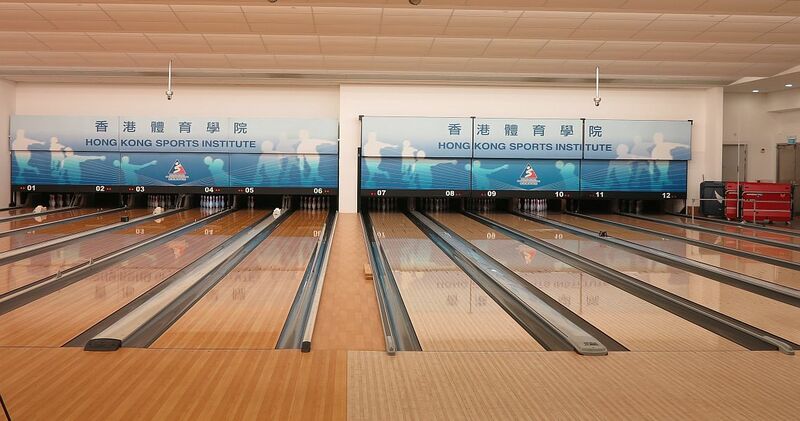 The HKSI is currently inviting suitable candidates for the following vacancy: Head Tenpin Bowling Coach. For details click on the HKSI Logo atop the right menu bar or click here.